Machine learning is an application of artificial intelligence. It provides the system an ability to automatically learn and to improve from experience without being thoroughly programmed. The primary aim of this is to allow the computers to learn automatically without human intervention. Google is one of the major advocates of this artificial intelligence. That is the reason behind making ‘Google Machine Learning Crash Course’ available to millions of Googlers all around the world for free as part of Google AI initiative. Google AI is a division of Google that is dedicated solely to artificial intelligence. It is the portal for everything that you can do with Artificial Intelligence. According to Zuri Kemp, the aim of “Learn with Google AI” is to help everyone on how to understand AI and how it can solve problems. It aims to a provide way to learn the concepts of machine learning to develop their skills and to apply machine learning to real-life situations or problems. 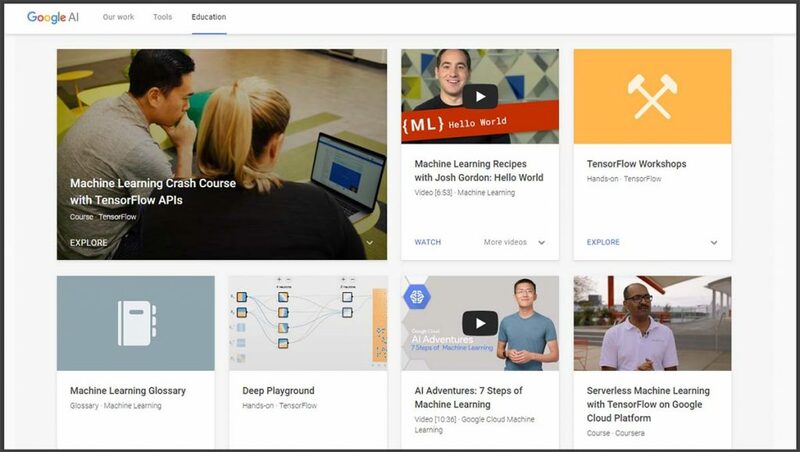 From the deep learning experts who need advanced tutorials and materials up to the beginners in the field of artificial intelligence, basically, anyone looking for educational content from machine learning experts at Google can be found here. Machine Learning Crash Course (MLCC) is a free 15 hours course that is divided into 25 lessons. It provides exercises, interactive visualizations, and instructional videos. These can help in learning machine learning concepts. 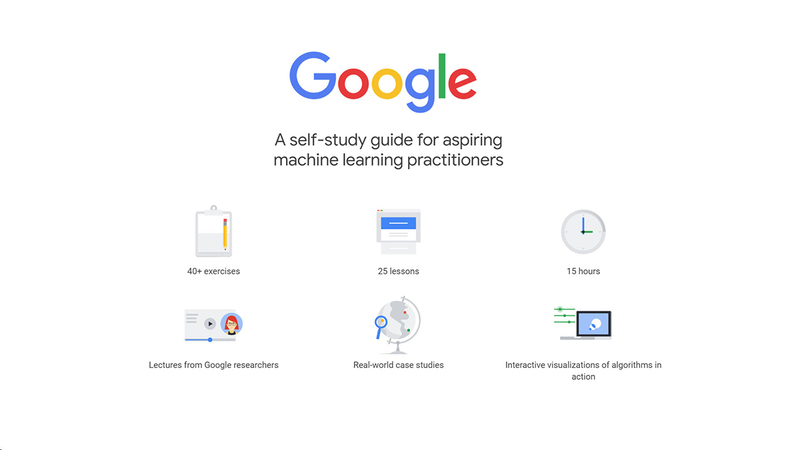 According to Barry Rosenberg of Google Engineering Education Team, their team originally developed a practical introduction to machine learning fundamentals and so far, more than 18,000 Googlers have enrolled. The success at Google-inspired them to make it available to everyone now. Machine learning way of teaching starts with loss and gradient descent, then building through classification models and neural nets. The process of learning includes watching brief videos from Google machine learning experts, read short text lessons, and play with educational gadgets devised by instructional designers and engineers. MLCC doesn’t require any prior knowledge of machine learning however for you to understand the concepts presented and complete the exercises, it is recommended but not obligated that students have some experience coding in Python. Your role – it could be a researcher, data scientist, software engineer, business decision maker, student or “curious cat”. Machine learning, Deep Learning, and AI are some of the great inventions of today’s digital era. It is the product of hard work and patience and thanks to Google, this has been made free for all to learn. Many have been so curious about what artificial intelligence is how does it work and who can learn it. Luckily, more and more companies are investing in this technology so that it can be available for everyone to experience and enjoyed. Now, you can be able to understand the concepts of AI and who knows, maybe someday you can be great, too.